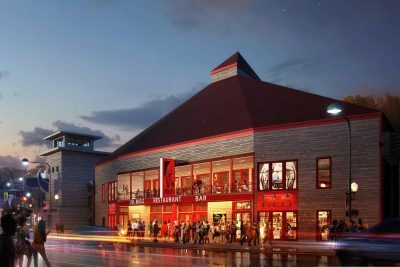 Grand Ole Opry member Blake Shelton and Ryman Hospitality Properties, Inc. (NYSE: RHP) today announced plans to open a third Ole Red entertainment venue in the heart of Gatlinburg, Tennessee. Country Music Association’s 2012 “Entertainer of the Year,” five-time Male Vocalist of the Year winner and GRAMMY nominee Blake Shelton continues to add to his superstar status. His most recent album, If I’m Honest, debuted at #1 on the Billboard Top Album Sales Chart and the Billboard Country Album Chart, and is the best-selling country album release of 2016. If I’m Honest has already yielded the #1 smash single, “Came Here To Forget,” which became his 22nd #1 single. His new single, “A Guy With A Girl” is Top 10 and climbing, and he recently performed the song on The Voice and Jimmy Kimmel Live. The album features three songs written by Shelton which include the gospel tinged “Savior’s Shadow,” “Friends,” which is also featured in the #1 film, The Angry Birds Movie, and “Go Ahead and Break My Heart,” a song he wrote and performs with Gwen Stefani. Country Music News Blog participates in advertising programs that help fund the operation of this site. For more information please visit our privacy statement. This entry was posted in Blake Shelton, Press Releases by Shauna "WhiskeyChick" Castorena. Bookmark the permalink.